Do not remove the brake pedal load sensing switch from the brake pedal support assembly. 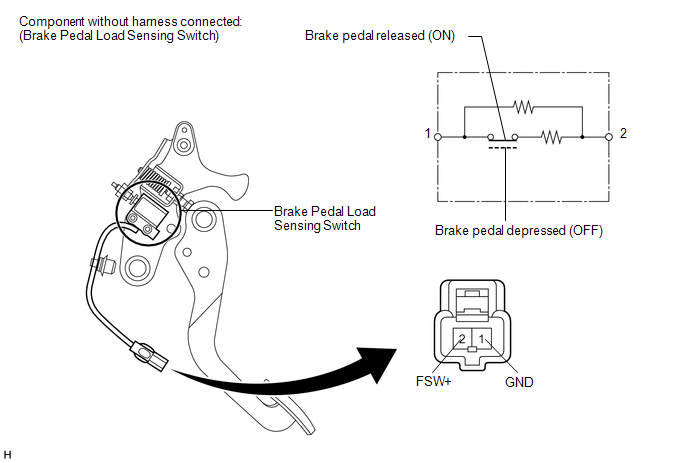 When there is a malfunction in the brake pedal load sensing switch, replace the brake pedal support assembly. (a) Disconnect the brake pedal load sensing switch connector. If the value is not as specified, replace the brake pedal support assembly (See page ).